Adjust my Connie & Joan Template. Includes adjustments to colour and sizes, choose how many templates to adjust. If you would like to have an adjustment to one of my templates, I can help! Please see what I can adjust by reading the info below. 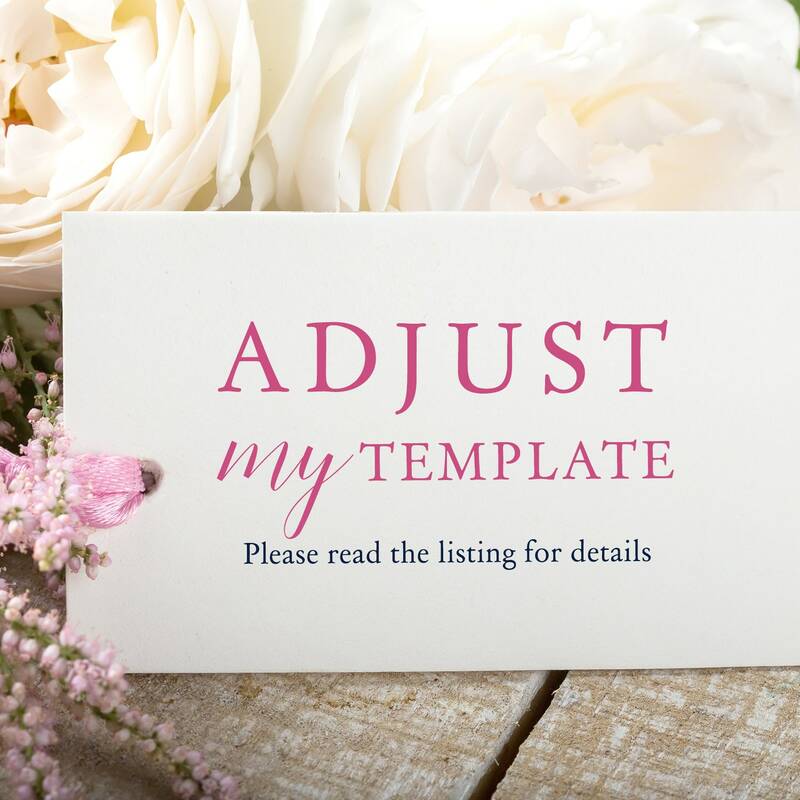 Then, when you add the templates to your cart, please add this listing too and select the number of templates you would like to have adjusted. You might like to have a different size template - to fit a picture frame, for example. Please let me know the size you need and if you can also let me know if you are printing a few per page so that I can set it up for that purpose. PLEASE NOTE: Due to the nature of my tag and place card templates, I cannot make changes to their sizes, however, I can certainly change the font colours. I can change the colour of any fonts on the template. I would be grateful if you can please send me something separately so that I can easily pick up the colour or colours you'd like. PLEASE NOTE: I cannot change the colours of greenery images or any image with multiple colours.